TLMC#5 Submission and 1st place winner. 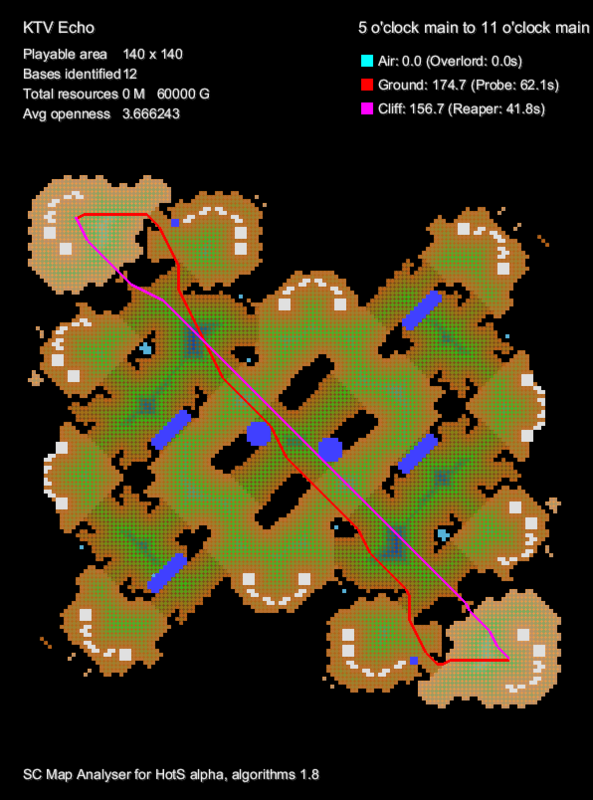 KTV Echo uses the same layout ideas I used for Foxtrot Labs where ramps are used to make terrain and certain positions highly valuable, while making flank attacks something that must be set up, but once they are executed they become extremely strong, meaning that players must be careful when they move out into the map. 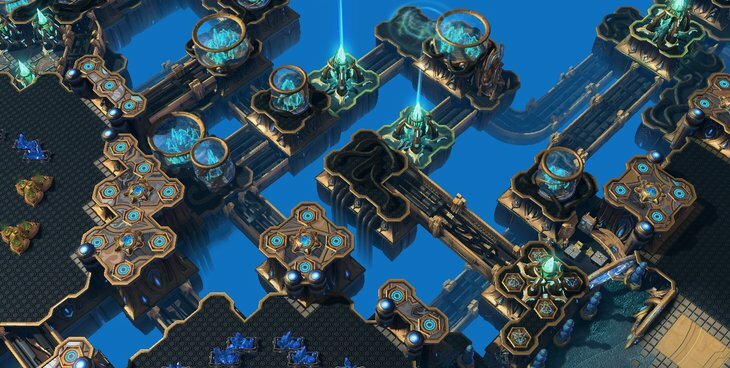 Echo also utilizes an older tileset, originally from Sueños Pacíficos, the Protoss City mixed with the Industrial tubes coming from the Relay Station that Echo is give the map a very unique set of visuals. 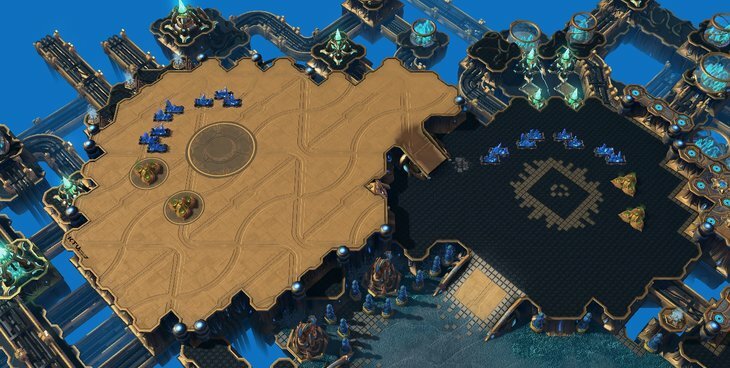 This map has WCS Gameheart enabled! § No Xel'naga Watch Towers. 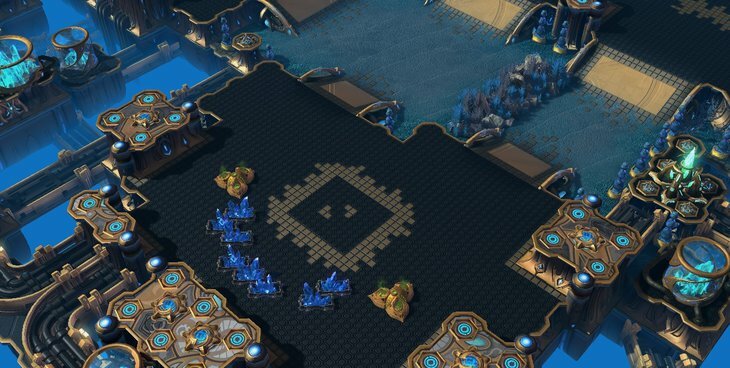 § Central lowground is not an area that players will want to control, sidepaths are prefered for army movement. 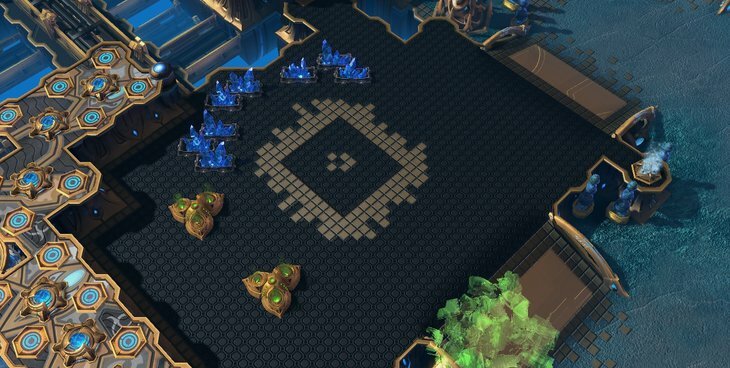 § Standard expansion layout, allows players to play their own strategies on the map, without the worry of needing to alter their play styles too much, but the map layout and features still needs to be accounted for. § 5 base map means that games will tend to be more aggressive, but games on the map can't be drawn too far. 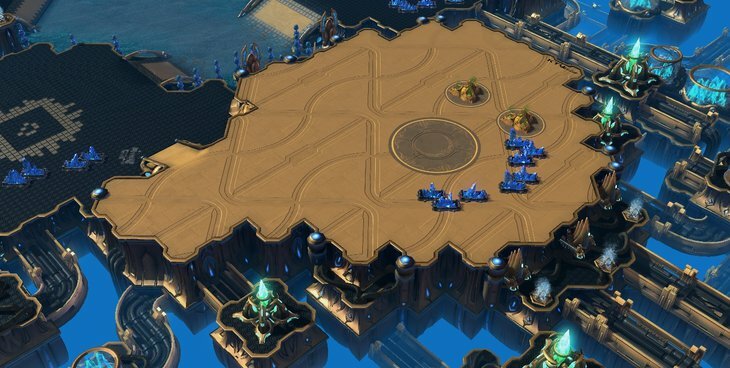 Map is now using correct Collapsible Towers unit versions. 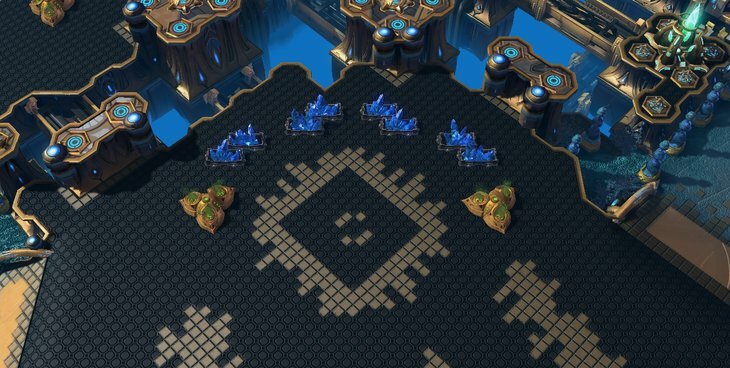 Small pathing and doodad improvements. Complete border aesthetic overhaul to fix FPS problems. 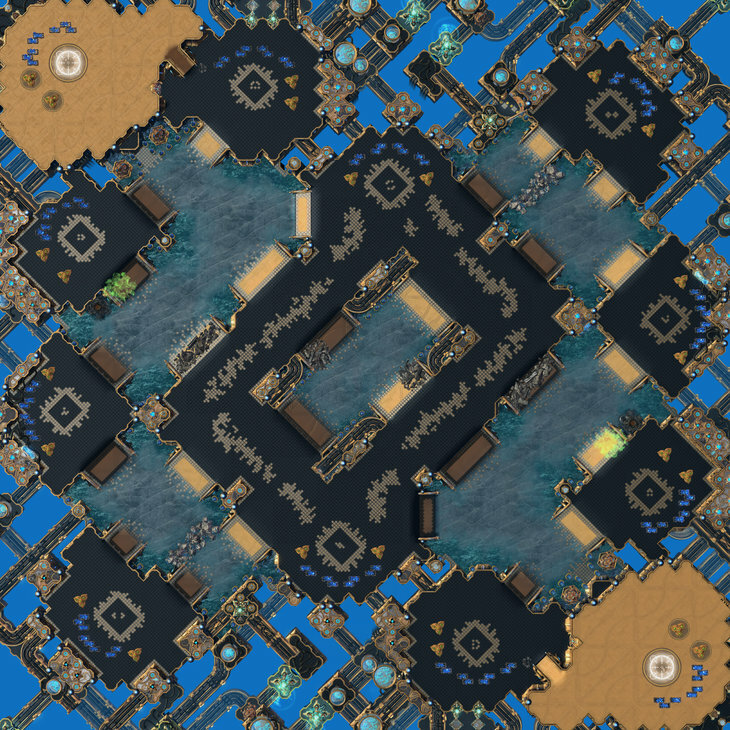 Slightly altered mineral lines of corner bases. Many, many thanks to The_Templar and Timetwister for helping me out coming up with a fitting name, I'm no good with names >.<, thanks guys. Most Beautiful looking map I've ever seen, but that's just my taste. 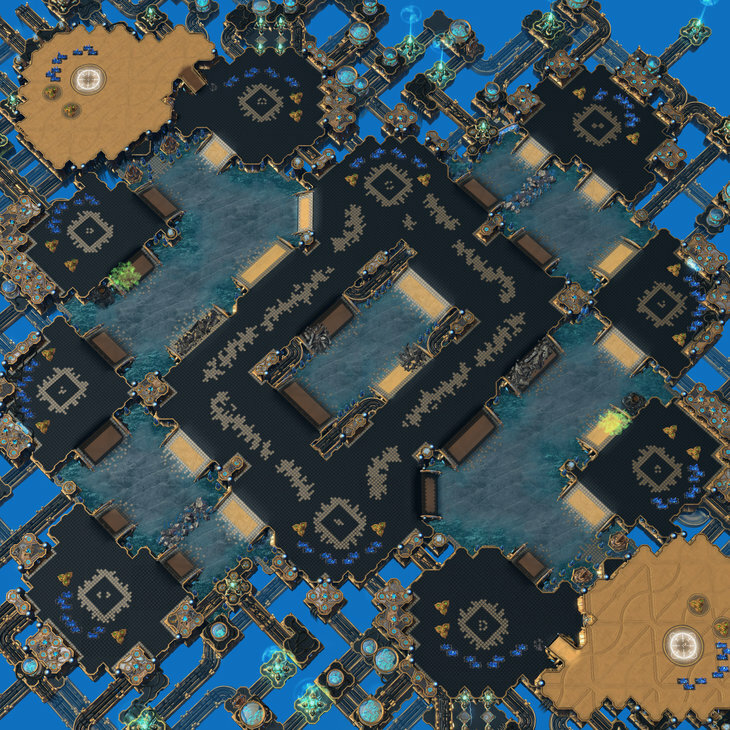 Solid layout, and I love the amount of ramps. No criticism from me, love it. Congratulations Uvantak . Great solid map with outstanding aesthetics. Deserving winner. Much better TLMC winner than last time, too. Uvantak saving e-sports one map at a time. 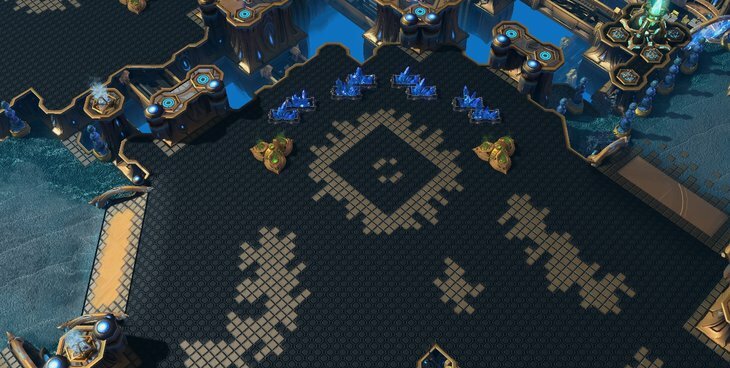 Grats on winning TLMC, beautiful map. Grats. Can't wait to see some LotV on this. 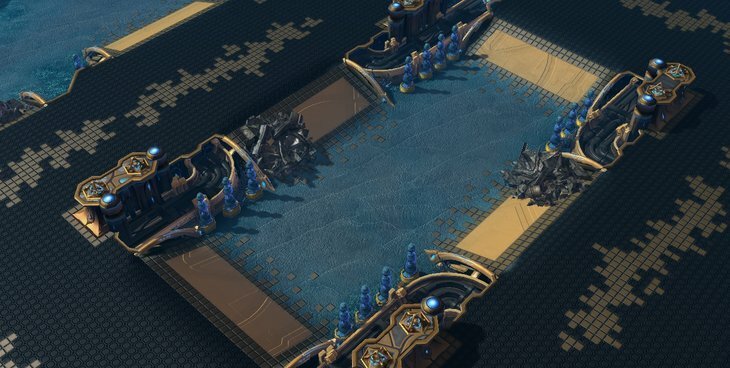 Btw, if this makes the ladder, will it be the first map with ramps that arent diagonal? Nope. Planet S had cardinal ramps on the third. Another map also had cardinal ramps; spoilering it because it might trigger some bad memories. Congratulations! That's one excellent map. Uvantak saving e-sports one map at a time. Actually, it seems it is rather two maps at a time. Glad you like the tiles, those in general are very annoying to work with because they are so time and detail expensive, specially if they are used in such a high contrast environment. 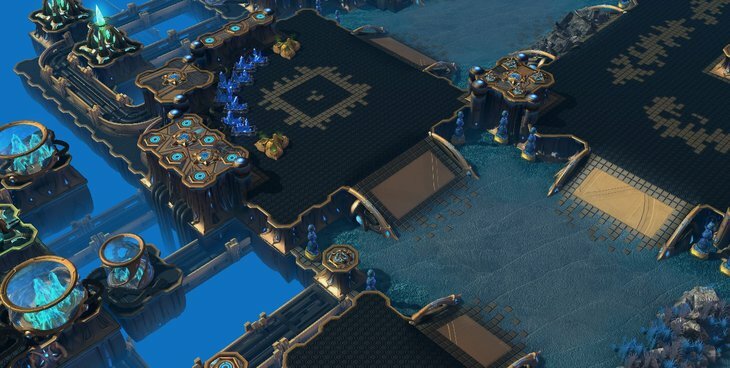 Don't you think that it would be possible for a map now to have nat&main on the same height level? 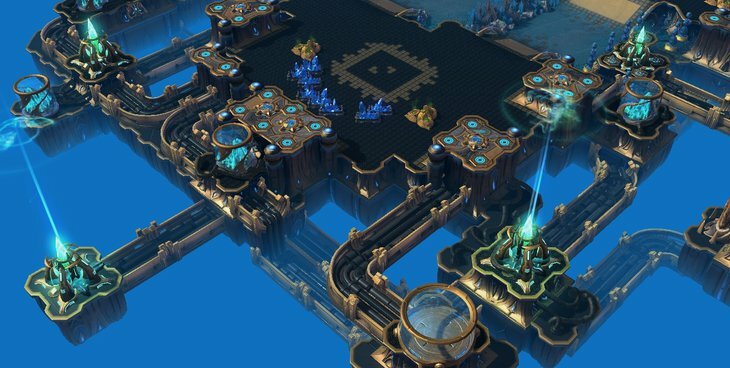 Actually the reason why I was rooting so hard for Tal'Darim to get into the Dreampool is because I believe that same height Mains and Naturals might be viable under certain constrictions, PvP with the mothership core means that 4Gate is not as strong, which is what made the Match up so annoying to play for some, meanwhile ZvZ more or less only requires a good chokepoint that queens can hold, PvZ, TvZ and PvT do not really require a ramp to be fully balanced, well maybe PvT with all the Allins in the match up does, but this is something I feel is worth of testing. 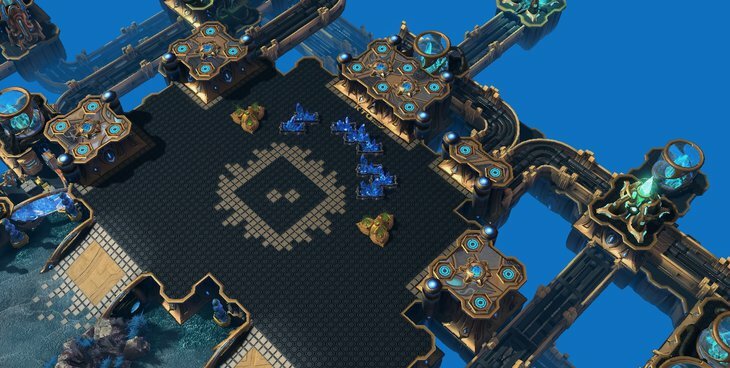 Uvantak becomes the first (non-korean) mapper to get two maps into ladder!